Amber can be found all along the coastline of Latvia. Translucent Trek pays homage to perhaps the most unique quality of this rock: its glowing, translucent body. Amber has a distinctive relationship to time and space: objects can become caught within it, seemingly frozen in time from long ago. The fact that these objects are, encased yet visible conveys the essence of the experience in our project. Translucent Trek shelters passionate hikers, giving them a place to make food, rest, enjoy the landscape, and sleep during the night. 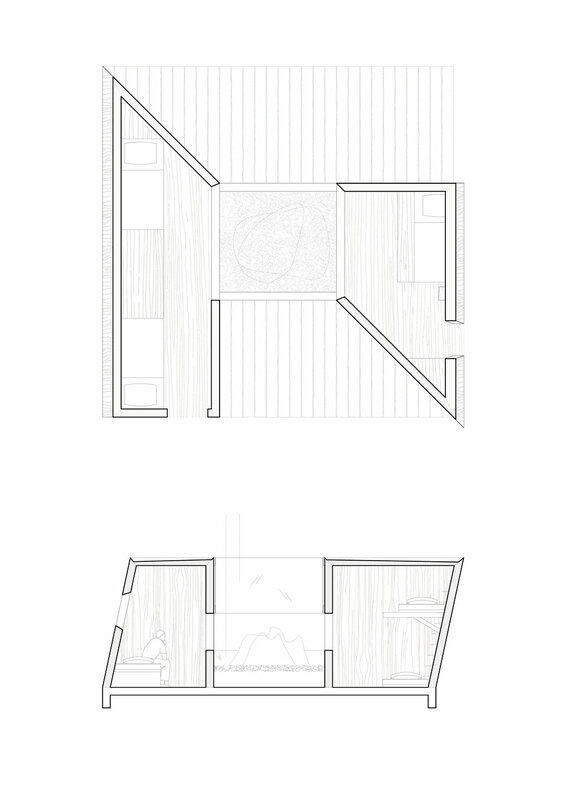 The cabins challenge conceptions of interiority and exteriority through the use of transparency. This is achieved by facilitating views of the surrounding context, as well as providing alternate views of reflected interior spaces, thereby impacting the individual’s experience of the space, light, and vibrant landscapes of Latvia around them. 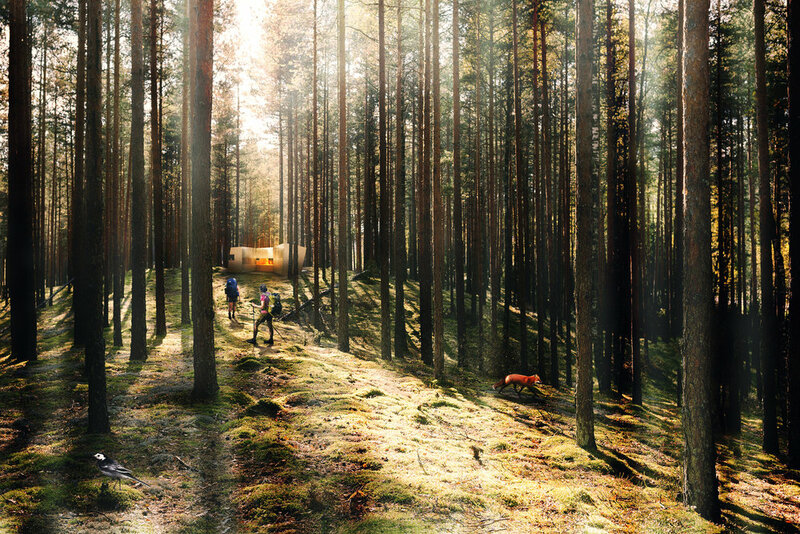 Translucent Trek is a cabin composed of two modules, each housing two beds. The two modules are constructed of two main materials: wood and glass. The wood panels are constructed out of local cross-laminated timber (CLT). The glass has two properties: fire-resistant and reflective mirror.